The Rays are buying the Rowdies. What does it mean for Tampa Bay? ST. PETERSBURG — The Rays struck a surprising and curious deal to buy the Rowdies they say was made only to get into the soccer business and has no connection to the effort to find new home for their baseball team. 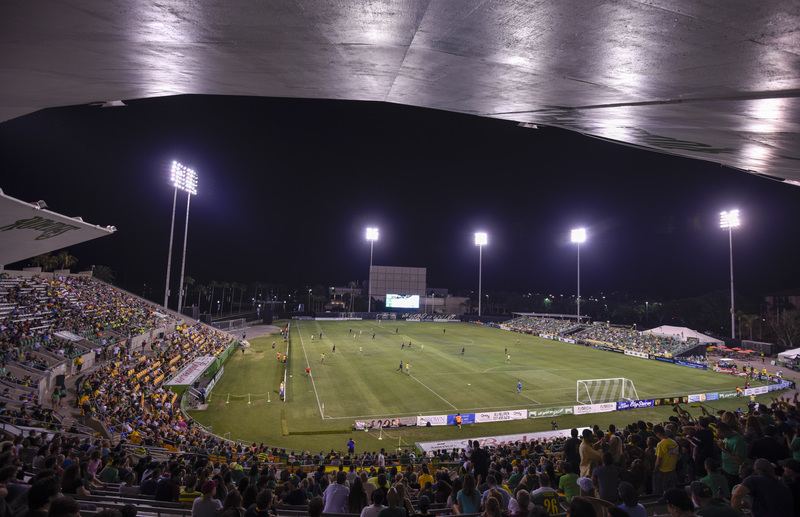 The deal includes at least short-term control of downtown waterfront Al Lang Stadium. The Rays tried a decade ago to get a new baseball stadium built there and never fully let go of the idea — which is why there was immediate speculation there was more to the Rays-Rowdies deal than just control of a soccer team. JOHN ROMANO: Rays? Rowdies? Let the conspiracy theories begin! 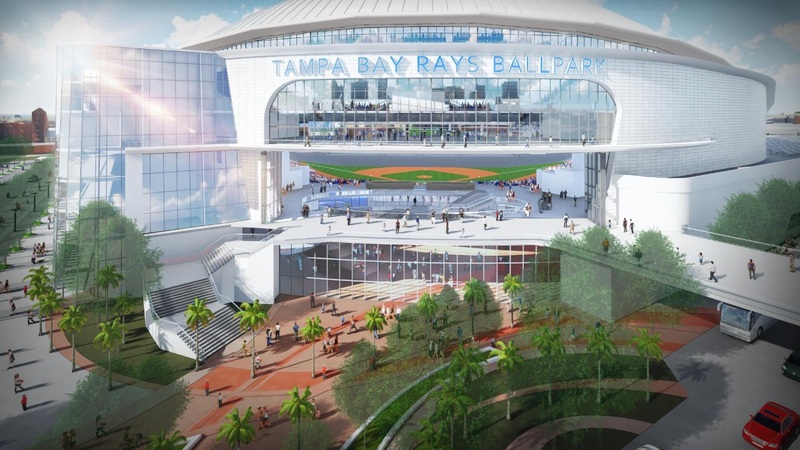 Most pointedly, were the Rays seeking an alternative St. Petersburg stadium site to their proposed new home in Ybor City, where talks have been ongoing to bridge the funding gap in completing that $892 million deal to build a Tampa ballpark? Another possibility: Were the Rays considering moving their spring training base back to St. Petersburg from Port Charlotte, or perhaps moving in a minor-league team? Rays president Brian Auld told St. Petersburg officials it was none of the above. This was just an opportunity to buy the soccer team from businessman Bill Edwards and grow their overall business. "They love downtown St. Pete and are a sports business and they think it's a very smart business decision. He did say (it) … has nothing to do with short-term or immediate plans they have for baseball." One of the leaders of the group trying to make the Ybor City stadium a reality said he wasn't worried that about the Rays' intentions. "I can understand why it could be perceived that way," said Ron Christaldi of Tampa Bay Rays 2020. "But Ybor City is the best by far. The site is much better than where the soccer team plays. That's not a knock on St. Pete. It's just a much better location." Christaldi said the Rowdies purchase was actually a good sign the Rays want to make the Ybor deal work. He said team officials reiterated to him Monday that a Ybor stadium was their "highest and only focus" after word of the soccer deal got out. "My initial reaction was that it underscores and reinforces (principal owner) Stu Sternberg and the Rays' commitment to the community,'' Christaldi said. "If they were leaving, they likely wouldn't buy another professional sports team in the market. It's kind of doubling-down on their commitment." But another St. Petersburg City Council member, Darden Rice, said she came to a different conclusion after speaking to Edwards. "I would think Hillsborough voters might find it odd that the Rays have the money to buy a soccer team, but not come to the table with money for a stadium," Rice said. "To me, that says the deal in Hillsborough must be dead." Neither Rays nor Rowdies officials said much about the deal on Monday and scheduled a news conference for 10 a.m. Thursday. The price tag of the deal was not disclosed. Edwards has been looking to sell for a while, and told Rice he has had several offers for the soccer team. The deal won't become official until Oct. 11 at the earliest. 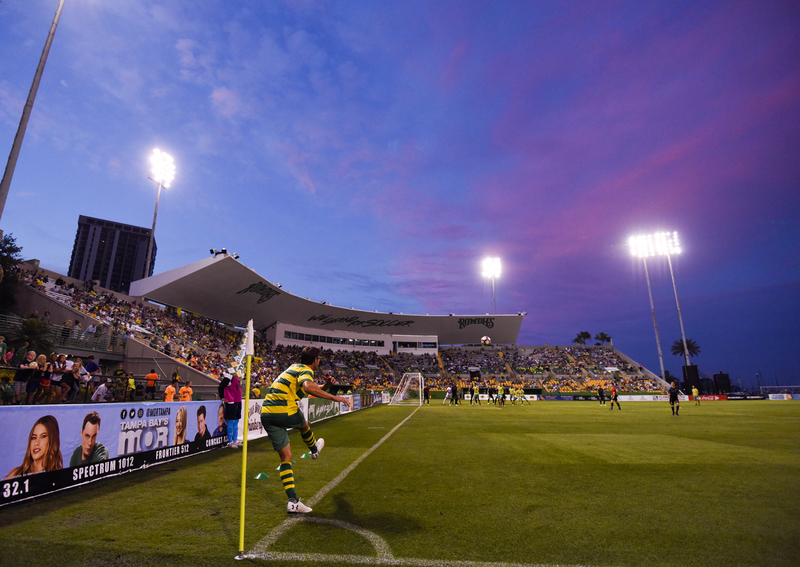 That is the earliest the City Council could approve the deal, a necessary step since the sale includes reauthorization of the Rowdies' lease to play at Al Lang. The longtime home to spring baseball was reconfigured a few years ago to better accommodate soccer, and the lease runs through Nov. 30, 2020. "Mr. Edwards deserves much appreciation for remaking the Tampa Bay Rowdies and investing in Al Lang Stadium and our community. Similarly, the Tampa Bay Rays' leadership has remade their baseball organization and placed considerable emphasis on community engagement. I am confident that this is a positive development for all parties, the great fans of both teams, and the City of St. Petersburg." Gerdes said Auld told him the Rays were interested in buying the Rowdies last year, when Edwards expressed interest in selling the team. The Rays looked into that option again and decided it made sense from a business standpoint, citing, for example, the potential to package sponsorships together for both teams. Rice said Edwards told her "the soccer team has been extraordinarily time consuming" and he wanted to move on to other ventures, though he would maintain promotional rights for concerts held at Al Lang. The Rowdies currently play in the United Soccer League. The Rays plan to continue playing at that level initially, but could eventually explore securing a franchise with the more prominent Major League Soccer group. Last year St. Petersburg voters approved a referendum that would have allowed Edwards to expand and upgrade Al Lang for MLS play and negotiate a 25-year lease for the stadium. City Council member Amy Foster said the stadium could be altered to accommodate baseball, but any substantial change to the footprint would require new approval from voters. The Rays are planning to play at least four more seasons at Tropicana Field, assuming all goes right for the new Ybor stadium and it is ready by 2023. The team has a Dec. 31 deadline to let St. Petersburg officials know if they will use a pre-negotiated deal for an early departure from the Trop, where they are signed through 2027. The Rays have not formally ruled out building a new stadium in St. Petersburg — the city has offered the Trop site and its lucrative redevelopment fees — if the Ybor deal falls through. But the team has indicated that Major League Baseball officials prefer Tampa because it's much closer to the population center of the bay area region. Times staff writer Rodney Page contributed to this report.